Hot off of winning the 2018 Maple Blues Award, Blue Frog Studios is excited to host the JASON BUIE BAND in their first appearance since winning this prestigious national award! Guitarist, singer and songwriter Jason Buie has performed throughout Canada, Europe, the U.S.A. and Japan. He's has toured consistently over the last 20 years playing Festivals, Clubs and Events. 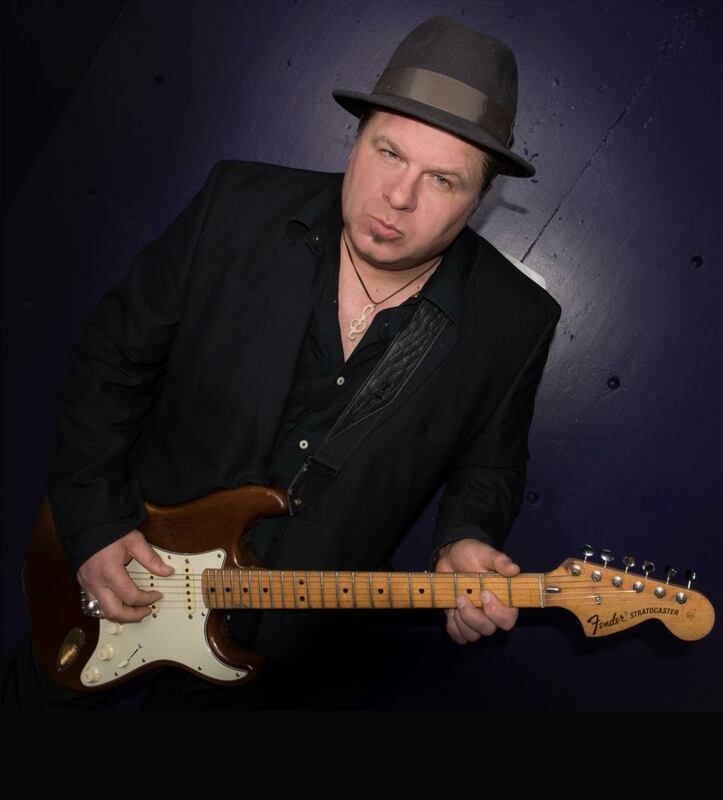 Along the way he has performed with Blues legend Buddy Guy, Taj Mahal, former Rolling Stone Mick Taylor, Jeff Healey, John Mayall, Robert Cray, Jimmy D. Lane, ThePowder Blues Band as well as Canadian Rock Legends Trooper, The Odds, Kim Mitchell, Jerry Doucette and others. His just released his 3rd C.D "Driftin' Heart" has received rave reviews and Jason has also won best "self produced' C.D from The Victoria Blues Society. Jason's music remains a well-seasoned gumbo of blues, funk, rock and soul with influences that originate in the Southern States. His from the heart vocals, fiery guitar work and charismatic stage presence has captured the attention of critics and blues fans around the world. Jason's current band consists of John Hunter on drums, Tim Brown on bass and Wynn Gogal on organ and piano.